We are pleased to welcome you to the Mums In Bahrain purple card programme, which has been specially designed for our frequent members. Discover all the ways you can save! Take advantage of all the benefits you love is now even easier. WE KEEP OUR MEMBERS CONNECTED! Flavor and history combine at Hard Rock Cafe Bahrain to create an exhilarating dining experience in the heart of historic Manama. Their eclectic menu combines traditional American cuisine with the unique local flavors of Bahrain. Enjoy the Legendary® Burger, house-made entrees, refreshing salads, and signature cocktails in a high-energy atmosphere that is unique to Hard Rock Cafes around the world. Hard Rock Cafe is offering Purple Card members a 15% discount on Dining; buy 1 get 1 free kids meal under the age of 12; special set menu upon request. Cafe Vienna serves a variety of delicious coffees (using Italian coffee beans), other beverages, sandwiches, wraps, savoury & sweet pastries, salads and mouth-watering cakes! They also offer 'customized celebration cakes for any special occasion' and provide free home delivery service. They have an indoor & spacious outdoor terrace seating area with free wifi. Cafe Vienna is open daily from 7.00am to 11.00pm. Cafe Vienna is the perfect place to gather with friends and enjoy our delicious selection of coffees & food! A great opportunity to also pop into Macro Mart to pick up some bargain groceries & your favourite 'TESCO' products. Chawan - Is an authentic Japanese tea house offering a relaxing atmosphere with slow Japanese melodies and traditional teas desserts and dishes. Visitors can enjoy Japanese anime movie night showing Japanese cartoons every Wednesday, Dress up in a Japanese kimono or sing karaoke on Sundays. 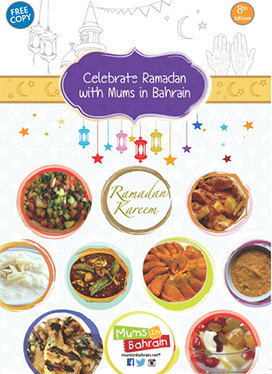 Mums in Bahrain members a 10 % discount on their online shop. The first kids cooking studio in Bahrain! Ready Get Set Cook offers our Purple Card members 10% Discount on their classes. L'Atelier Art Lounge is an "art place" where kids & adults can enjoy all types of painting and crafting objects such as wood, glass, porcelain, ceramic, fabrics, mosaic. L'Atelier Art Lounge offers MIB Purple Card holders 10% discount off the bill (except birthdays & special events). Studio Ceramics is a modern and tranquil pottery painting studio at Budaiya. Studio Ceramics is offering our Purple Card members a 20% discount off total painting bill and free Cotton Candy (or Face Painting) for any parties booked. One Stop Party Shop for decorations, costumes, and more! Party Mania is offering our Purple Card members 10% discount on total bill. The first medical shoes shop in Bahrain! TenTen is designed to encourage a trendy, happy, active & healthy childhood. Tenten is offering Purple Card members a 10% discount on non-promotional items. Baby Essentials Bahrain is an independent high-quality specialized baby shop selling unique award-winning baby and mama products located in Seef Mall and Royal Bahrain Hospital. Baby Essentials is offering Purple Card members a 10% discount on selected items. Selling and renting beanbags with filling for parties and events and for retails use. Perfect Setting offers our MIB Purple members a 10% discount. General Trading company. Seller of Original and Licensed Products like, Shopkins, Barbie accessories, Disney Toys, Mattel products, collectible cars, 3D Puzzle and etc.. Original DVD’s for kids, collectors bundle, Arabic movie and music and etc.Official Distributor of Royale Beauty products. We also accept special order from customer. Fab It Up offers our Purple Card Members a 15% discount for all members + free delivery (scheduled) for orders above 15 BD. Casa Luminosa offers exclusive individual abayas, jalabeyas, and dresses to women who like to look and feel unique. The exclusive pieces offered by Casa Luminosa are inspired by styles found in the Gulf, Middle East, and Asia, and are individually created by the Libyan designer, Arwa Al Arbah. Arwa realized that most women, like her, want to feel special and unique in what they are wearing, but at an affordable price, and feel comfortable at the same time. Arwa set about creating pieces that would not only showcase Arabic designs, but appeal to women all over the world, and light up their lives with Casa Luminosa. Casa Luminosa offers our Purple Card members 10% discount on any outfit. Now the Gulf's first premier online baby gift service, offering style-savy customer access to renowned and revered children's labels and baby brands. Peekaboo is offering our Purple Card members a 10% discount off all purchases excluding sale or discounted items. Toys R Us is offering 10% discount to all Purple Card members. Joz Salon & Spa is offering 20% Discount on all services in any of the Joz Salon & Spa branches in Amwaj, Awali and Juffair (valid only on weekdays). Sherry Wellness offers our MIB Purple Card holders a 15% discount on all of their services. Exquizite Salon offers our MIB Purple Card holders a 15% discount on total bill for all the services. Located in the heart of bustling Manama, The Domain offers luxury and sophistication by elevating art of refined hospitality. The Domain Hotel & Spa offers our MIB Purple Card holders 20% off Massage, Facial, Body Treatments and 10% off Nail and Waxing Services. Purple Patchouli is offering our Purple Card members a 15% discount on all their services in the salon and spa. *Does not include discounted and promotional packages and also not available during holidays. Dessange offers our Purple Card members a 20% discount on all treatments during weekdays. Muscle Works Massage is different to the regular Spa and Salon. We understand the anatomy of the body and provide excellent massages to relieve muscular aches and pains, de-stress and to help with musculoskeletal problems. Our services range from Swedish Relaxation Massage, Pregnancy Massage to Deep Tissue, Myofascial Release and Sports Massage. Our Massage Therapists hold the highest massage qualifications from the USA, Australia and Europe and have many years of experience. With us you are in good hands! 2- 8 veneers 1000 BD with free teeth whitening at the clinic. 3- 20 % discount for all other treatments. 4- Kids treatment under general anesthesia 280 BD instead of 350 Bd. 5- Bring your child for consultation, check up for you will be free. Hi Dental Care is a dental care center of Oral & Maxillofacial Surgery, Dental Implant, Orthodontic, Pedodontic, Fixed & Movable Prosthesis, Hollywood Smile & RCT. Using the latest high-tech equipments and best quality dental materials enable us to provide up to the minute, high-class dental treatments for our patients in all fields of dentistry, this includes Cosmetic dentistry, Orthodontics and Implants. Al Jishi Specialist Dental Centre is offering Purple Card members 20% discount on all treatments including cosmetic, braces & implants. Dr. Ali Mattar Dental Centre – Consultants Group work with a sense of accuracy, professionalism, and efficiency you rarely find elsewhere. The dental team is experienced in their respective specialty fields and dedicated to be available full time in order to provide the best dental treatment in accordance with the highest international standards. We have special services in both Pediatric and Adult care and the consultants ensure that precise diagnoses are made and preventive action is taken. We provide comprehensive dental treatments including everything from gum treatment, dental fillings and instant crowns to bridges, dentures, and dental Implants for replacing missing teeth. Your treatment plan will be tailored to meet your needs, including Hollywood Smile &amp; other cosmetic options to enhance your smile. Dr. Ali Mattar Dental Centre is offering 20% discount on their Cosmetic Treatments. We specialize in the wellness of all women and mothers. We offer bespoke services for active women, moms-to- be, first time mothers, mothers that handle five kids at a time and mothers that are grandmothers. At Mommy Wellness Day Spa we have a passion for the well-being of women and mothers because a happy mommy is a happy family. Our treatments are conducted by therapists that are highly qualified in prenatal treatments, skincare, massages as well as sports massage and can offer advice and tailor each treatment to your individual needs. Additionally, we offer visitors with the service of a play den. While mommy is being pampered at our day spa, we’ll keep your children busy with activities and learning through play. Mommy Wellness Day Spa is offering 20% discount off total bill. *Can’t be used in conjunction with other offers, gift vouchers, and retail products. Smile Studios Bahrain provides Specialised Dental Care & Services needed for individuals of all ages. Providing all dental care services including Implant & cosmetic dentistry. Smile Studios - Bahrain offers our Purple Card members a 20% discount on their services. Royal Bahrain Hospital (RBH) is a multispecialty world-class hospital in the Kingdom of Bahrain. It is a branch of a large group of hospitals, which operates various medical centres and hospitals in Kingdom of Saudi Arabia, Dubai, Qatar, UAE, Oman & India. RBH delivers care with a strong focus on quality and creates unparalleled standards of medical and service excellence. Muna Dental Care Center is dedicated to a totally comprehensive dental care approach that focuses on treating people, not only teeth. They offer a wide range of dental services, including preventive, cosmetic, restorative and reconstructive dentistry. Muna Dental is offering our MIB members a 20% Discount on all their dental treatments. Pure Yoga is a contemporary studio that separates the core teachings of yoga from the cultural practices that have historically surrounded it. Hot Yoga classes are between 60 - 90 minutes in length, are suitable for all experience levels and abilities, and are taught by certified Hot Yoga instructors. Classes are open to all female adults 18 and over. First Aid Box offers a variety of quality U.K regulated First Aid courses approved in Bahrain from Highfield ABC, taught by highly experienced British nurses and first aid instructors with decades of real life emergency experiences, as well as first aid products from U.K's leading first aid manufacturer Reliance Medical. The Concept: LIFE-FIT, Family Fitness Centre. Imagine a facility incorporating a multi-faceted team of health & fitness professionals all under one roof! From the moment you enter you will be greeted by a friendly, qualified and competent team eager to listen and understand your personal health & fitness challenges. At LIFE-FIT, our aim is to treat each client as an individual, to comprehend their unique needs, to design a personalised health and exercise programme which may include sessions with either one or more of our lifestyle professionals depending on the circumstances and wishes of each client. Another unique feature of LIFE-FIT’s services is that we ‘welcome children’! With incidences of child obesity and child chronic lifestyle on the increase, it is imperative that children are introduced into fitness as early as possible. LIFE-FIT is an ‘All Inclusive’ Facility; a Fitness Centre, a Personal Training Centre, a Group Exercise Centre, Nutrition & Counselling Centre. LIFE-FIT is the first step to a “NEW YOU”! Classes). Cannot be used with another offer. Nestled amidst expansive date gardens leading up to a pristine lagoon, Reef Resort is a peaceful sanctuary right within the heart of the city. Perfect for a laid back holiday, a romantic escape or an intimate family getaway, the Resort offers an array of 102 lavishly decorated living spaces including villas, suites and deluxe rooms, some with patios and verandas for added comfort. Pet Shop offering all pet services like Pet Grooming, pet food, toys and accessories, and much more! Pets Cabana is offering Purple Card members a 25% discount on STAR pet grooming package, and CABANA SIGNATURE pet grooming package. STAR pet grooming includes Shower, 15 min brush, Blow dry, Ear cleaning, Under the tail cut, Nail trimming, Haircut of your choice and Cabana secret scent. CABANA SIGNATURE pet grooming package includes additionally Teeth brushing, Ear Hair removal, and massage. Convenient & time saving. No more trudging to the dry cleaners after a long day at the office. Our service makes it easy for you to look your best without the stress! My Door is offering Laundry, Dry Clean, Cloth Alteration, Shoe Cleaning & Repair. My Door is offering Purple Card members a 10% off their Laundry and Dry Cleaning services. Sylvan Learning Bahrain is offering our Purple Card members free assessment and 10% discount on any group class offers at full price. Bahrain Taxi is the first local taxi app in Bahrain & ME that provide a set of passenger taxi booking mobile app and live web booking interface for hotels, restaurants, hospitals etc. Find the nearest available taxi to your place, track your driver in real time with just a one button click and pay less with Bahrain Taxi mobile app .